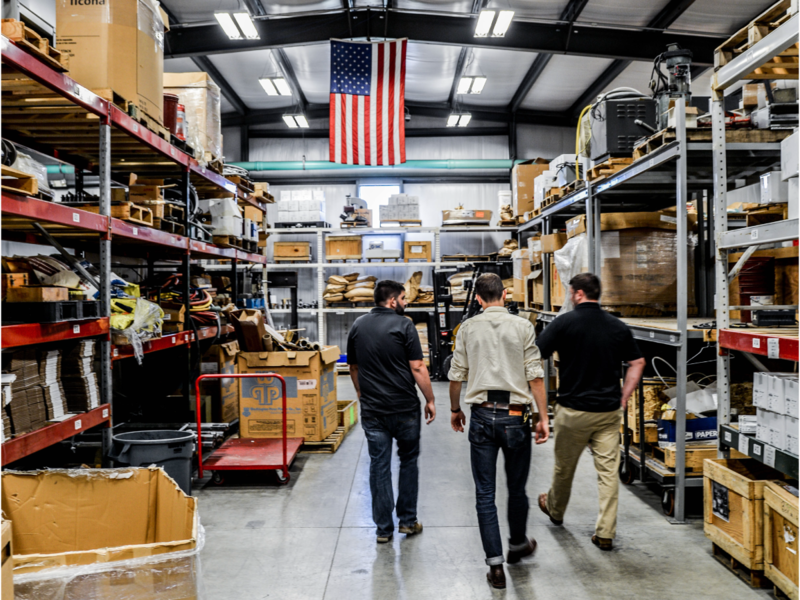 Sourcing Machined Parts in the U.S.A.
As I started working my way up the Supply Management ladder during the 1990’s, a phenomenon appeared that delivered a major destructive blow to U.S. machine shops and other small to medium-sized manufacturers: the industrialization of China. This emergence was not characterized by steady growth over time but rather as a step-function-like tidal wave. How could the rise of Chinese industry have happened so quickly? When U.S.-based Original Equipment Manufacturers (OEMs) started receiving pricing proposals well below what they were currently paying their domestic sources they, of course, began buying. The re-sourcing from U.S. firms to Chinese ones accelerated dramatically as purchasing managers raced to take advantage of what was literally a pricing windfall. The primary measure of purchasing success (Material Variance, i.e. year-to-year purchased part pricing) dictated this decision for them. But what, if anything, was wrong with this? After all, isn’t competition the basis of Free Trade? As I’ve written in other columns, though it seemed like it resulted from valid economic policy, China’s emergence as a manufacturing behemoth was anything but the result of Free Trade. American’s non-finished goods manufacturers had the rug pulled out from under them and, as a result, many machine shops went out of business. And this wasn’t due to poor management. It was because the Chinese manufacturing initiative rose so fast that it left U.S. manufacturers virtually no time to react. Machine shops in small-town U.S.A. found themselves competing not only against China’s low wages but also the Chinese government. And during the rise in China’s industrial strength our politicians —both Democrat and Republican — seemed to feel that low cost Chinese goods (both industrial and consumer) were more important than supporting our small-and-medium manufacturers (aka our national supply base) and did virtually nothing to help combat the unfair competition. Where has this left our country’s manufacturing? Big OEM corporations seem to be doing more than “okay” while the bulk of the companies that make-up our manufacturing infrastructure — and, by the way, employ the greater part of our manufacturing workforce —have been significantly damaged. While the recently passed revision to our Tax Code does help OEMs it doesn’t seem to offer too much relief to the smaller firms that needed it the most. Where does this leave America’s manufacturing supply chain? Although reduced, due to the energy and persistence of its owners, managers and employees, U.S. supply chain infrastructure has survived and is much more competitive for having staved off the Chinese tsunami. Because of this, OEMs — the ones that look — are finding that U.S. machine shops have become (at least) ballpark competitive price-wise on a worldwide basis. And at the same time, OEMs have also started to better understand that piece-price —while important — should not always be the sole consideration in making sourcing decisions. Many OEMs have crafted what they call Total Cost Formulas to try to take into account the non-piece price costs taken on when dealing with overseas suppliers. These tools miss the mark in at least two significant ways. First, Total Cost Formulas don’t effectively reflect the negative business impacts that sourcing overseas actually has on costs — especially those internal to the OEM’s operations. While most of the formulas I’ve seen do add in most actual transportations costs they seldom reflect the cost of factors like the internal logistics infrastructure needed to manage longer supply chains. Nor do they take into account issues like higher levels of raw material safety stock. Second, focusing on piece-price/cost is a bit like working in a chimney since it makes it more difficult to see the big picture. A better metric for measuring supply chain impact is revenue. Machine shops with more available capacity and shorter “true” lead-times have the potential to greatly increase customer revenue as well as reduce product cost through support of incremental sales, i.e. when demand comes in above forecast. Going forward I’ll devote several articles to this topic but, for illustration purposes, you need only consider our Christmas sales season. Most toys today are manufactured overseas. How many times have you heard of hot-selling toys being out-of-stock by Thanksgiving with new shipments not being available until after Christmas? Think of the revenue toy sellers leave on-the-table by not having the shorter, more responsive lead-times that are available domestically. And, as U.S. manufacturers have become more competitive in response to overseas competition, there is less and less of a priced-based reason for sourcing in low wage countries. Many OEMs have failed to notice this. As I said in my last article, I have always been a change agent and at least in my opinion MakeTime offers a unique service that gives clearer visibility into the capabilities and competitiveness of small-and medium-sized U.S. machine shops. How? First, MakeTime offers visibility into a network of machining suppliers far larger than any OEM could afford keep their finger on. Secondly, the company is able to gauge the competitiveness of their supply network by both modeling the “should-cost” of parts and tracking supplier success in winning contracts. Finally, and perhaps most importantly, they have a unique approach to keeping track of individual manufacturer’s available capacity and “true” lead-times. This means that when a customer comes to MakeTime with specific order fulfillment needs they are able to quote only with suppliers that they already know can meet them! This approach has benefits for both purchasing manufacturers and machine shops. On the supply side, machine shops can now rely on a sales function that aligns them with customers who will value their expertise and offer a far greater potential customer base than standard in-house or traditional outside sales agents are able to provide. In addition, by understanding a supply network’s capability and historic performance, MakeTime can tout the non-piece-price cost savings that may be available, helping OEMs increase revenue while reducing internal costs. My next article also relates to my previous post in which I defined MakeTime’s role as an Honest Broker. In it, I’ll hope to explain more of what is mean by this.